Used for string-type properties to store and display the View.Id value. Lookup list contains Views from the Application Model, it displays 3 columns (Id, Caption, Type of View) to provide a convenient choice for the user. 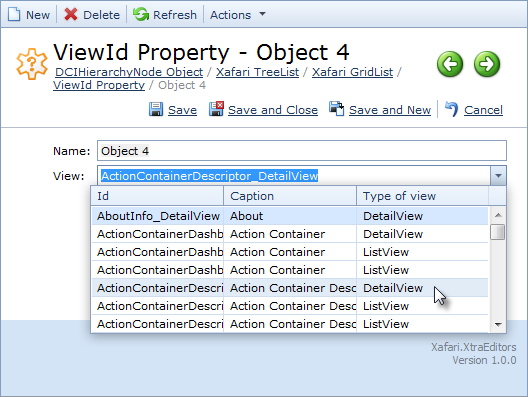 The editor supports 3 criteria to limit the list of Views by type: ListView, DetailView, DashboardView. 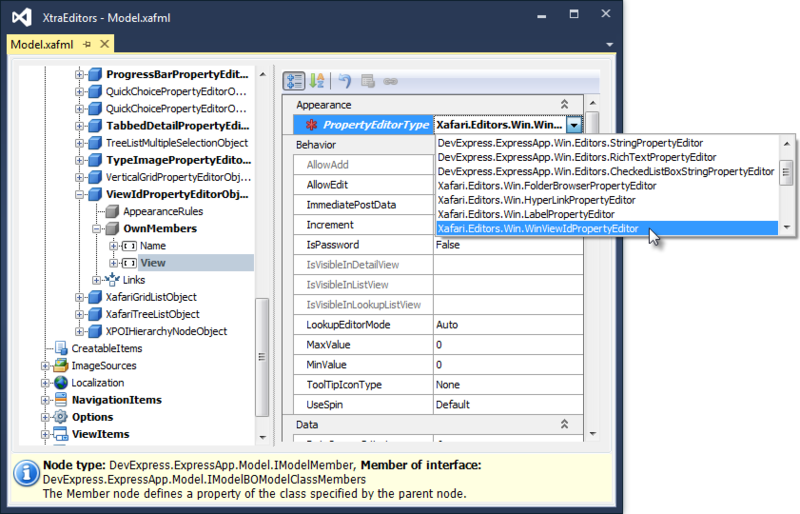 To use this Property Editor, invoke Model Editor and focus the corresponding BOModel|Class|OwnMembers|Member node, set PropertyEditorType property to the WinViewIdPropertyEditor (or WebViewIdPropertyEditor) value. Set DataSourceCriteria property to displays Views of the required type. Run the application (whether Windows Forms or ASP.NET). Select the appropriate item in the navigation control and click the New Action. 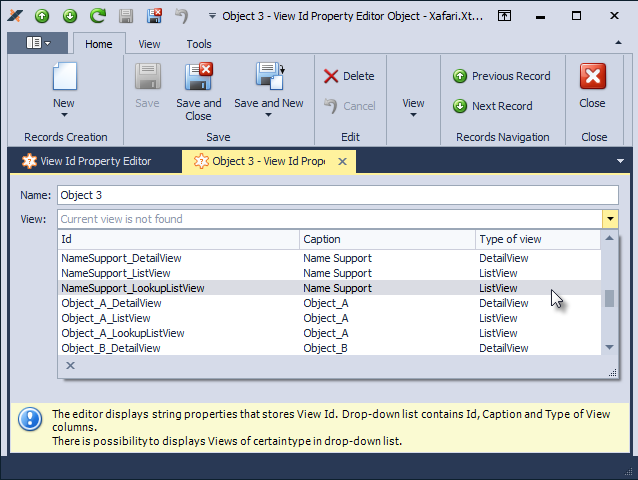 In the invoked Detail View you can use View Id Property Editor.